Be the first to share your favorite memory, photo or story of Deborah "Debby". This memorial page is dedicated for family, friends and future generations to celebrate the life of their loved one. 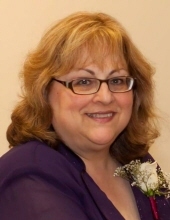 Deborah “Debby” Olivia Melton, age 62 of Lithia Springs, passed away on Wednesday, April 10, 2019. She was born in Flint, Michigan on February 14, 1957, daughter of the late Roby G. Parr and Jean Parr. She worked as an Administrative Assistant for Subaru of America and was a member of Sunset Hills Baptist Church. In addition to her father, she was preceded in death by her brother, Glen Parr. Debby is survived by her husband, Doug Melton; daughter Jill Hernandez and her husband, Tito; mother, Jean Parr; sister, Pam Parr; brother-in-law, Scott Melton and his wife, Leah; and several nieces and nephews. The family will receive friends at the funeral home on Monday, April 15, 2019 from 5:00 PM until 8:00 PM. The funeral service will be at 2:00 PM on Tuesday, April 16, 2019, at Hightower’s Memorial Chapel. Interment will follow the service in Cold Springs Cemetery. To send flowers or a remembrance gift to the family of Deborah "Debby" Olivia Melton, please visit our Tribute Store. "Email Address" would like to share the life celebration of Deborah "Debby" Olivia Melton. Click on the "link" to go to share a favorite memory or leave a condolence message for the family.